What to study for the PTCB exam? I have scheduled the PTCB test for next month. In your opinion, what is the most important thing to study for the test? If you're in a program, or doing self-study from books, than this site is designed to mainly help you as an additional reference. In the final few weeks, My suggestion is to take as many of the FREE Practice tests until you ace them all. The reason I say that is because there are unlimited different tests. The computer randomly throws together the questions when you go take the exam. So, you may get a test heavy in math, while another person taking the test at the same time gets lots of drug questions. Also, read some of the comments below. I would say study the Math really well, the Top 200 drugs, drug classification and suffixes, basic pharmacology, law, etc. And, take as many practice quizzes and tests as you can. What book do you have? I actually have several books, all from Paradigm. I just completed a Tech course at my local Community College, and was just wondering where to concentrate my studies. Math has been the toughest part for me. Any more resources you could recommend? I'm not familiar with Paradigm books. I used mostly Mosby's Pharm Tech review. I took a tech certificate class years ago and recently a review class. I think you have to concentrate on what I said overall; including the pharmacy math. 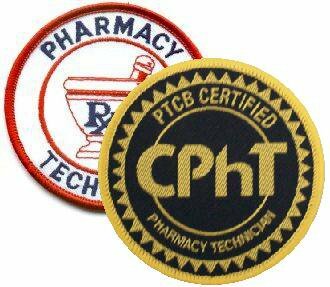 Find as many free pharmacy tech practice exams as possible. If you can do the practice problems on here you should be good. The math I had on my test wasn't too difficult. Practice as much as you can every day. The level of math I've come across so far isn't too difficult if you focus on one essential part i.e. UNITS. if you make sure all units cancel out except for the ones you're looking for, you tend to get the numbers right as well. Happy studying. just know how to do the majority of the problems like what formula to use; alligation, ratio/proportion, C1V1=C2V2, business math, etc. I thought the math on the exam was pretty straight forward. So far I'm studying. Temp conversion.. Day supply problems, powder volume or what is the diluent. What's is the final concentration of the final solutions. Percent strength rate of infusion. Allegation math.... Anything else...?? I passed it (PTCB), but haven't found work yet. I may take the ExCPT exam too so I'm still learning, studying and remembering, etc.. I would suggest just studying a little each day (averaging an hour-more or less) if you can. You should be fine to take it by the end of the year or early next year. It seems like you're almost ready. Study the math because 90% of my test was math! Know your calculations and formulas backwards and forwards. The second important thing to do is memorize the top 100 drugs and some basic information about them. I'm having trouble studying for my PTCB Certifications test. Are there any ideas on what books to grab to study for it ? which math to study?? coversions formulas? What else? tell us please ? I passed my exam on my first try. I started studying like 2 months before. the first month i studied the 200 drugs (i didnt plan on memorizing all 200 but I wanted to be familiar with them in case they showed up on the exam). the second month i did Practice tests and even got a few apps which would give me questions of the day. honestly I didnt study as hard as i shouldve i barely finished the 200 drugs and only started taking the practice exams seriously in the last 2 weeks. My advice is to familiarize yourself with the math. make sure you know how to do most of the problems that are given to you on practice tests because when it comes down to it, if you dont know the laws or any of the in-depth stuff and least you have an idea of how to work out the math. my test was hard. practice practice practice ! Im taking my test today in a few hours and im super nervous about it. everyone I have talked to in my class has said that their test was heavy with hospital pharmacy questions. barely any math and barely any top 200 questions. Im super nervous so everyone wish me luck!! It can be done economically! There is a website called Pharmacy Trainer. There is a complete study guide with a textbook, workbook and 200 drug flash cards for a total of $87.00. Read these 3, do all the practice test in the workbook and you are done. I spent 1 month literally (August 12th - September 12th) with a full time job doing light reading in the evenings... wrote the exam 4 days ago first time and passed. However, if you are not good with disicplined self-study this option may not be for you.. All the best!! My exam is in 10 days and I'm really nervous. I've failed it once before. Any advice? Hi guys I want to become a PT I recently bought mosbys review but I'm stuck on what to mainly study. Can anybody give me any pointers please ? I'm going to take the test in 13 days and would like to know if anyone knows the best website to study the top 200 drugs for the exam. I also have the PTCB Exam Secrets Study Guide. I am just now leaving the big city from taking my exam. 7-14-16. I was so nervous thinking about taking it. I studied for 2 weeks and used an old Mosbys book from 2006. It had a cd with 5 exams on it. I took as many questions as I could daily and also read the content on areas I knew I did not know well. The math was very basic. I had no allogation problems but a lot of % questions. Most of the questions where not straight forward. Meaning that, they would ask for things that I had not covered but I was able to eliminate all other options based on what I did know. Study your laws. They are there in multitudes. I downloaded quizlet and searched for note cards on laws and the top 200 drugs. I studied them daily. On breaks and when I was waiting for appointment etc. Eat brain food the day of, take a multivitamin, and just relax. Do not study on test day. I jammed out on my way there. Have faith you will do fine.